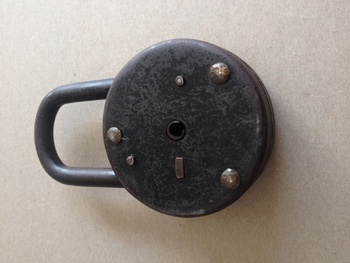 In Tools and Hardware > Locks > Show & Tell and Military and Wartime > World War Two > Show & Tell. 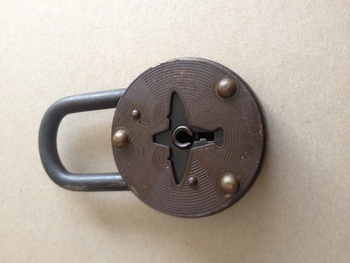 Found this intriguing large heavy lock at an estate of a former WW2 pilots home. I need help to figure the exact period it's from and what it was for. This has a very cool airplane design on the center of the lock and it's stamped SSC No. 3000. No other markings visible and I don't have the key. Any info would help. 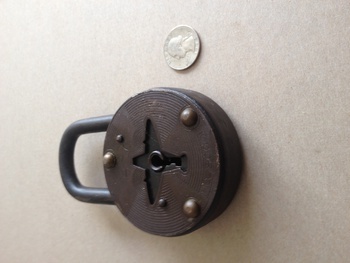 I hope u were not referring to the old jail house lock that is on the site. 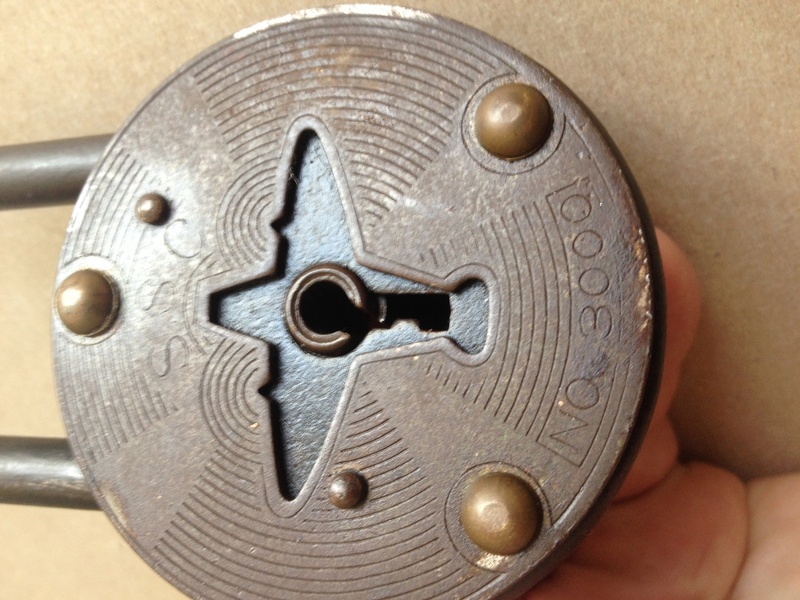 They are completely different locks both by design and subject matter. Walker my apoligies I found it my phone app didnt work to show site properly. Hard to tell if the size is the same but looks like it except his isnt in very good shape like this one. Cool looking lock. It has the look of a great old lock although the back side of the rivets look suspicious. I airplane cut out is awesome. I was able to reach some lock experts and they said its a nice legit piece the history still not truly known. They believe this to made in either France or Germany and they think it was made to celebrate the Lindberg flight. They said they do show up on Ebay occasionaly. Thanks for all the help and comments. I have the exact lock with two keys. It was my grandfathers. I heard it was a German lock but he drove a ammunition truck in France during the war. It was traumatic for him and he never talked about it.